The following is a transcription of a document donated to Clyde River Archives by the Beer Family which highlights the early history of the Dog River/Clyde River School District and offers us a full list of teachers along with a few school reports. This information also appeared in the History & Stories of Clyde River. That is to say beginning on Elliot River at Donald MacNeill’s west line of land and running thence north in said line to the north line of said land; thence east to John Livingstone’s rear line of land; thence north in said line and west line of Duncan MacLean’s to the main road; thence east by the main road to Robert Boyle’s, east line of land being west of John MacPhail’s land; thence in said line to George Livingston’s west line of land; thence east to his east line; thence north to his north line; thence west to his west line; thence north to south line of Peter McElroy’s land; thence east to west line of Angus MacPhail’s land; thence north to James Beer’s north line of land; thence east in said line of Bannockburn Road; thence north by said road to George Dixon’s north line of land; thence east to east line of said land; thence south continuing in west line of W.E. Fraser’s land to south line of the same; thence east to west line of William Leonard’s land; thence south continued in west line of John MacQuarrie’s land to south east angle of Lem Hyde’s land; thence west in south lines of lands of Lem Hyde and others to Charles Fisher’s west line; thence north in said line to Clyde River and; thence by the shores of Clyde River and Elliot River to place of commencement. Registered here in 6th day of May 1882. 1838 – Malcolm Darrach – The number attending school at this time is 45. All were present the day the visitor visited the school. The greater number of these had made rapid progress, since their last examination in Arithmetic and Reading and two were advanced in English Grammar. The same good improvement was not manifest in the writing of scholars. This appeared to be owing more to the want of suitable desks than to any inattention on the part of the teacher. School house comfortable, but not sufficiently large. 1839 – Malcolm Darrach – The daily average attendance is 40. The proficiency of the pupils generally since last examined has been satisfactory. The correct manner in which the senior classes especially read, and the knowledge of Grammar which they displayed, was highly pleasing. The school has been considerably enlarged since my last visit. 1840 – Malcolm Darrach – The average daily attendance is 40. The proficiency this year in Grammar and Arithmetic has been satisfactory. The writing was not so good. 1843 – The school has been open at intervals during the past year, on account of the indisposition of the Teacher, otherwise there has been no falling off in the attendance or the usefulness of the school. 1848-1857 – John Livingston – 1857 – The examination showed marked improvement. The house is very sufficient. 1858-1859 – John Livingston – 1859 – The potato raising not being quite over in the district, the senior pupils have not yet returned to school since the termination of the vacation. Left a notice to the Trustees to the effect that unless the School house which is greatly out of repair, be put into a better condition, without unnecessary delay, and the same be forthwith certified to the Board of Education, the school will be closed. 1860 – Teacher – John Livingston – 36 pupils. Proficiency of scholars moderate. 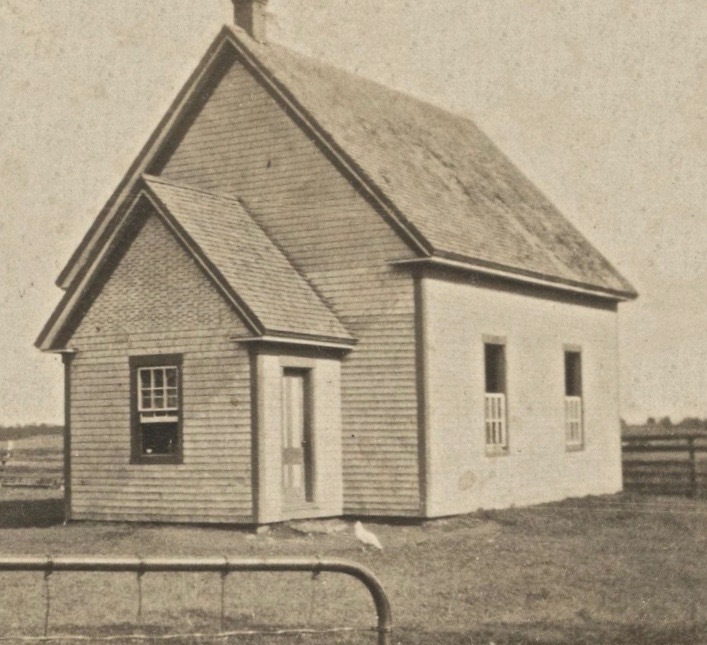 1864-73 – John Livingston – 1873 – School greatly improved since last visit. After 1971, Clyde River School was closed and students were sent to Cornwall Junior High and Charlottetown Rural High School. Clyde River School has had many wonderful improvements and is an active community centre, managed by the Clyde River Women’s Institute.